I grew up around Herter’s decoys. My Dad had some early balsa birds – Black Mallards, Broadbill and Geese. Shortly after I was born in 1953 – my Dad began to use Herter’s plastic birds. I am not certain what he bought first but I always remember dozens of Broadbill, 3 Canada Geese, 2 Mallards and a single Pintail. 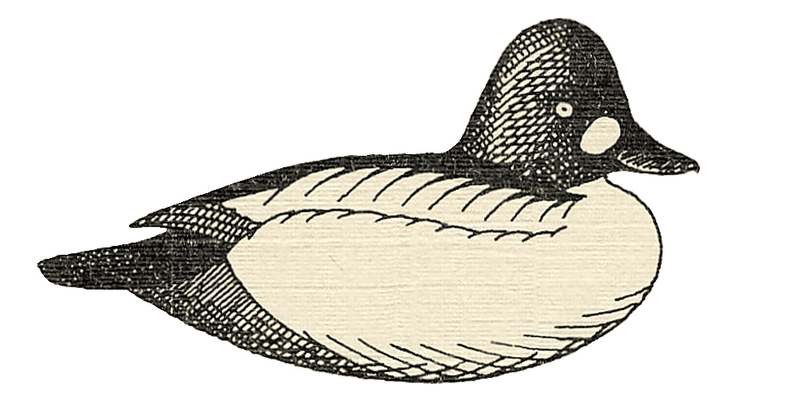 He – like most Long Island gunners – preferred over-size decoys. The balsa birds were the “Superior” model (I think) and his ducks were the over-size Model 72s: Durlon foam bodies with Tenite plastic heads. The Canadas were the big Model 92s and the puddlers were 72s. We never owned any of the smaller (life-size) Herter’s decoys. Later – in the late 60s – we got a dozen Model 81 Brant (which were based on the “life-size” Canada Goose body). So – on a bit of a whim – my eye somehow caught a bunch of Model 63 Mallards late last spring. Other bunches were soon to follow and I wound up with about 50 small Herter’s puddle duck stool before winter arrived. My idea was that I do not need over-size stool on the small waters I hunt here in dairy country. So, I could carry in more smaller decoys than my larger Model 72s or E. Allens. I rehabbed a dozen – with my usual epoxy + fine sawdust coating and fresh paint. I gunned over the dozen later in the season and frequently enjoyed the sight of live Mallards and Blacks swimming amongst them. I watched them enough to know that the 63 is just a tad smaller than the real thing. My next foray was to turn a few Mallards into Gadwall. Although the Herter’s Mallard lacks the full crown I like so much in Gadwall, the shape was close enough. However, there remained a slight problem. Sometime in their later years, Herter’s began to offer decoys – Teals and Pintail – with a different head. A handful of the decoys in one of my batches had these “different” heads on Green-wing Teal. I have yet to encounter anyone who was snobbish about Herter’s decoys – but these heads were clearly below the Herter’s standard. In fact, if one looks at the Herter’s plastic decoys – both hollow Tenite and Durlon foam, one must admire their form, especially when compared with other commercial decoys of their time. The carver who made the masters – I believe it was Jack Musgrove of Des Moines, Iowa – had a fine eye and hand. I also admired Herter’s because they went to the trouble and expense – at least in their early years – to make individual models for five species of ducks: Mallard/Black Mallard, Pintail, Canvasback, Redhead, Bluebill. It is the Pintail that is the subject of this essay. I wish I still had the first Herter’s catalog I explored (studied, really) as a young child. Back in the days when one received a single catalog per year, Herter’s was one that became well-read in many households. I just found a 1957-58 edition (original in excellent condition, with mailing envelope and a blank Order Form) on e-Bay. Since I was born in 1953, this may very well have been the first edition I read as a child. Although the balsa decoys were no longer offered, both the hollow Tenite Butyrate Model 50s were sold along with the Durlon foam Model 63s, 72s, 81s and 92s. This “post-pounding” image is among my earliest memories, forever vivid. It seems that Model 63 Mallards and Bluebills (Broadbill to us Great South Bay gunners) remain easy enough to find. I recall passing on 4 dozen or so last fall because I simply could not concoct a justification that satisfied even me. But, Pintail is a horse of a different color. With my “small puddler” rig now including Mallards, Blacks, Wigeon and Gadwall, I decided I needed just a pair of Model 63 Pintails to complete the “set”. I have learned that they are hard to come by, at least here in the East where Pintails are an occasional bird. (I suspect they are too common to even mention out West…..) I searched the web, the duckboat show in Tuckerton, the duckboat show on Long Island, a couple of friends who are immersed in the world of old gunning stool, and always the web. A new friend on duckboats.net offered me a bird he described as “pretty beat up”. Of course, that’s just my style. Rather than seeking Herter’s birds in “original paint”, I want decoys begging for a “makeover”. I received the Model 63 Pintail in early March. It is a mystery. The foam body has the original flat bottom (later birds had molded keel protruding from their bottoms) and the head came with the solid brass screw-eye (later were brass-plated steel). The head, though, was the more recent “different” head. It still had its factory Drake Pintail paint but was not the original Model 63 shape (or size). So, I embraced a new strategy. I decided to carve a new head for the Model 63 body and to purchase a pair of Model 50 Pintails. The latter came from California – thanks again to e-Bay – and I used their heads to make my pattern. Here is a comparison of the original Model 63 Mallard head and the newer “different” puddler head. The latter head is smaller, the eye is set too far aft, and the “cut” between the bill is too far forward and angled the wrong way. Here are later Model 63s – Green-wing Teal with the “different” head on the Mallard body. Here is the Model 63 Pintail as it arrived – with the “different” head. Notice how it is a bit too small for the body. Here is the Model 50 “drake” as he arrived – disguised as a drake Ringneck. And here is the Model 50 “hen” as she arrived – disguised as a Hen Ringneck. The Model 50 Pintail is a nice decoy – but the heads are glued in place,all facing straight forward (unlike the Model 63s with their famous “any-position” heads). Also, the bills are a bit too high in my opinion – making the birds look a bit nervous. As with many hollow birds, this Hen caught a pellet that was probably intended for a cripple. I completed the Model 50s first. Even though they do not need the additional “toughness” provided by the epoxy + sawdust, I do like the rough surface that prevents shine and helps paint details to be seen. Here is the new head for the Model 63 – Basswood with a dowel as a shaft. Here is the comparison of sizes and shapes. Here is the undersized head sitting on the body. Here is my Model 50-sized head sitting on the Model 63 body. Here is the new wooden head fastened onto the Model 63 body. It has a slight turn to the right – but is held there with an adhesive caulk – to relieve strain on the screw eye and foam body – and to prevent the anchor line from getting wedged between the head and body. I paint the bottoms of my gunners a medium Grey – so the owner’s name can be written with a marker if desired. As usual, I painted these gunners with Behr Ultra latex paints from Home Depot. I buy the 8-ounce sample jars – in flat – for most colors. (Flat Black and Flat White I usually buy as quarts.) For those who want to paint or re-paint their own Pintail rig, here are the names and codes for each color. I hope you can save these images and then print them on 8.5 x 11 paper to serve as a handy reference. The biggest difference from the “original” is the “eye channel” – the shallow groove between the brow and the cheek. While I have for many decades put style over biology in my Drake Pintails, I decided to cave in to Mother Nature and paint those two White neck stripes closer to their natural shape. Instead of carrying them forward and coming to a fine point on the brow, I have shaped these closer to the “real thing” – fingers that curve inward at their zenith on the back of the head. Both decoys have the back feathers – the Scapulars and Tertials – molded in along with the speculum (Secondaries) and wings (Primaries). I do not try to paint in every feather on gunners. Rather, I define just enough to give the suggestion of correct impression a “half-gunshot away”. On Drake Pintails, I want to suggest the “fancy” feathering. With both paint schemes, I make certain to get a bit of curve or droop in the Scapulars. I do not put in every feather on gunners – as I do in my mantel-piece Pintails. And, I painted in the speculum only because Herter’s had molded it. On most gunners – like this George Soule/L.L. Bean – I paint just the Scapulars and Tertials. The Pintail is our only species where the Drakes and Hens have differently-colored Speculums. The tails in the hard plastic Model 50s are sweet! They sweep upward and come to a nice point – but are still practical under gunning conditions. The tails in the softer foam Model 63s are blunt – a practical compromise. It is possible that I may add a wooden tail insert to the 63 Drake to approximate the shape of the 50s…. The light was right for getting these gunners afloat. Here they are on the Hemlock Swamp out back. The ice has just come off – for the second time this Spring. I flushed Mallards, Woodies and Canadas and heard a Spring Peeper or two – but no Wood Frogs yet. Lots of work for a handful of “factory birds”….but I hope the information is useful!